Levi Huffman met Megan Gilmore a week and a half before the first cohort of the LSCC training program began. He laughs about how he showed up to their first meeting with a tattered piece of paper covered in questions which were meant to “poke holes” in coaching. He was impressed with the way Megan answered his list of questions and how she carried herself, and he decided to join the program. At this time, Levi had just finished his doctoral program and found that coaching allowed him to start accessing his heart, rather than his brain. After finishing his coach training in 2015, Levi traveled with Megan and the other members of Lark’s Song’s first global education initiative in Zambia, Africa. I have always said that coaching brings out the royalty in people, and that is what I stand behind. Levi currently works as a coach and professor of life calling at Indiana Wesleyan University. He also helped co-create courses for the graduate counseling program, which allows participants to receive a certificate in coaching. Levi Huffman, Erin Davis, and Jackie Stancil recently published a study in the International Journal of Evidence Based Coaching and Mentoring titled “The Impact of Life Coaching on Undergraduate Students: A Multiyear Analysis of Coaching Outcomes” exploring how coaching impacts undergraduates. This team is currently working on another study on how the enneagram impacts the coaching process. Levi will also have an article featured in the next issue of Growth: The Journal of the Association for Christians in Student Development. Megan Gilmore, Steph Yoder, Luke Anspach, and Levi on the Made Wild scouting trip in September 2015. Levi and Megan co-created Lark’s Song’s Made Wild program. Made Wild is an immersive wilderness coaching experience, which gives participants the opportunity to work through personal topics amid a community. Levi sees this program as the perfect getaway, a way for participants to unplug and shake themselves out of routine. The Summer 2017 Made Wild crew in the Hoosier National Forest. 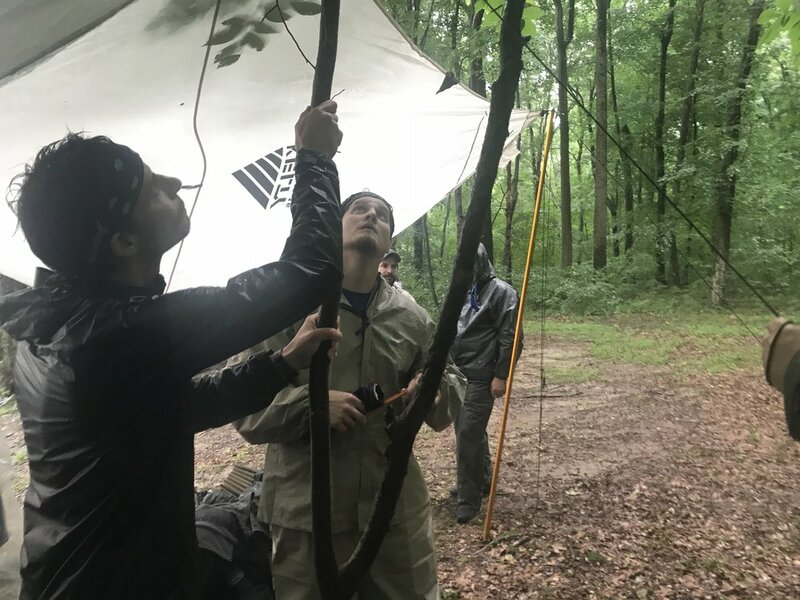 Levi and other participants from 2018’s Executive Summit Wilderness Excursion crafting a rain shelter. Assistant coaches: Anthony Eyer and Katara McCarty with Megan Gilmore and Levi Huffman before the Executive Summit Wilderness excursion. For more information on the LSCC training program and to register, visit LarksSong.com/overview. For information on the Spring Made Wild trip and to register, visit LarksSong.com/calendar/made-wild-spring. To view Levi’s work with Life Calling at IWU, visit Indwes.edu/undergraduate/life-at-iwu/offices-and-services/center-for-life-calling/our-team. 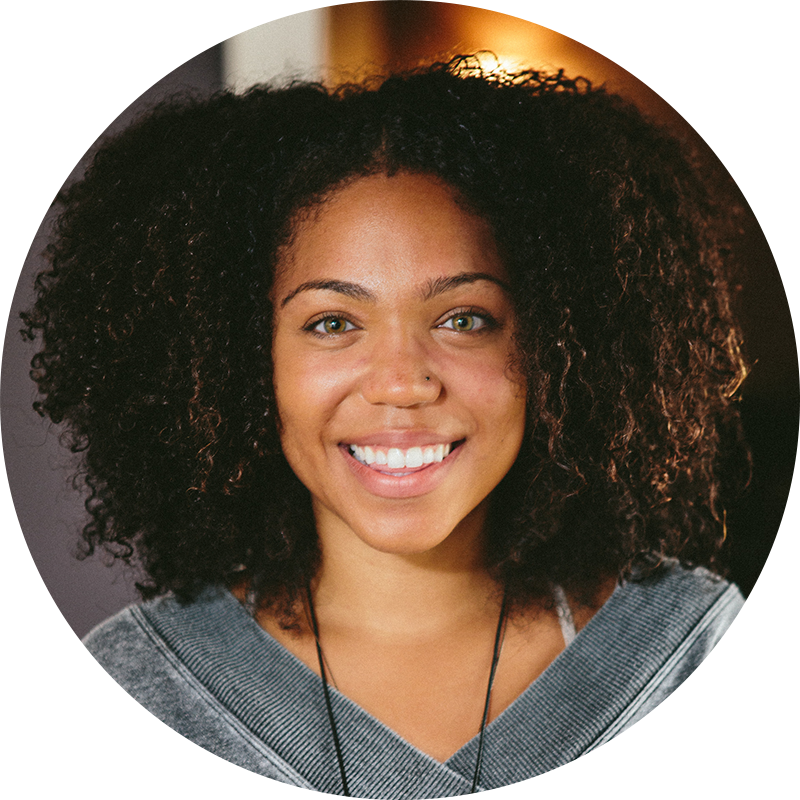 When Erica was going through her LSCC training in 2015, she began co-leading coaching retreats for teenage girls to uncover their true selves and step into their best. The LSCC certification has enabled Erica to do things she never thought were possible. She was a part of the team that developed the Little Larks well-being curriculum and helped start a Ceelelo School in Zambia. The curriculum has reached over 100 students in Grant and Wabash Counties through Superhero Camp, is being used as trauma intervention for children in Mexico, and continues to be used in schools and orphanages in central Zambia. 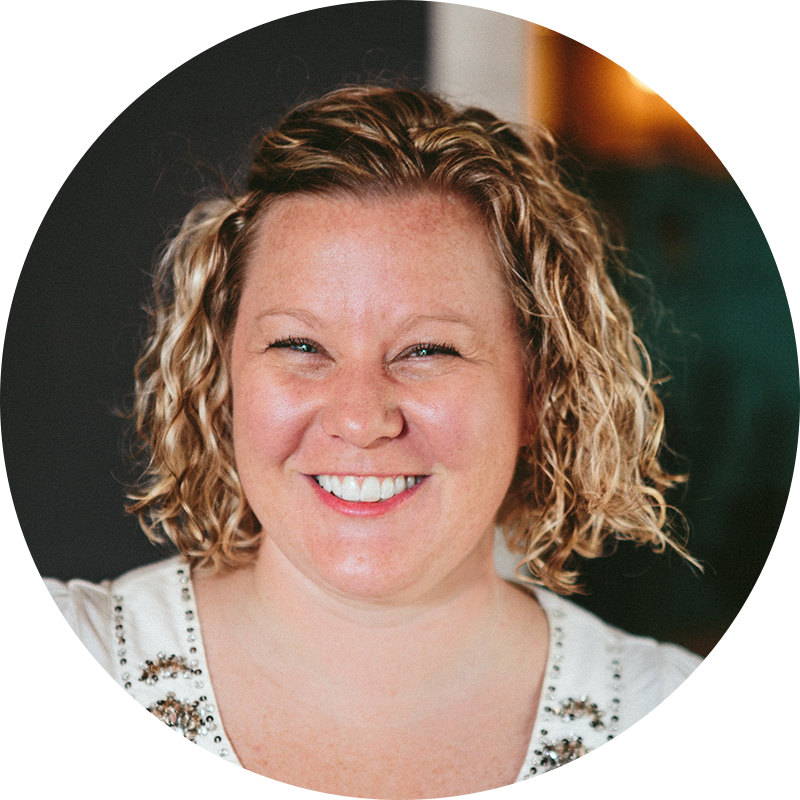 She has done premarital coaching, coaching for students, and is beginning to work with foster families, as well. She has also been able to use coaching as she teaches Yoga at Sender Wellness in Marion. Erica leading students at Ivy Tech through a group coaching activity around seeing their character strengths and acknowledging them in each other. When Lark’s Song started partnering with Ivy Tech to offer coaching services to their students last fall, Erica jumped right in. She co-coaches a group of first-generation college students and students who are a part the Associate Accelerated Program, which allows students to graduate with an associates degree in 11 months, and she co-leads a well-being training for students with Megan Gilmore and Emily Hathway for first-time students at the beginning of the semester. In addition to these group coaching opportunities, she also holds office hours at Ivy Tech for students to have additional individual coaching. Erica works with these students on overcoming obstacles, identifying their VIA Character Strengths, and using mindfulness training. Research has shown that these interventions both increase well-being and levels of happiness while decreasing depression and anxiety. Emily Hathway, Erica Eyer, Megan Gilmore, Bria McCarty and Levi Huffman finishing up a day of training 28 educational coaches in the Chilanga district of Lusaka, Zambia. The most valuable insight from the Lark’s Song Certified Coach training program to Erica is the learning around living at choice. Erica explains, “It was as if I finally had the formula for solving all my complex thoughts.” This mindset changed the way Erica looks at life and problems and people’s capability. Erica leading the Green Team at Superhero Camp in Matter Park. For more information on the coach certification program and to register, visit larkssong.com/overview. Emily Hathway is the Lark’s Song Culture Care Coach. She has been a part of Lark’s Song since 2013, when she became the first intern at Lark’s Song. Emily was first introduced to coaching while in the graduate counseling program at Indiana Wesleyan University in an elective course taught by Megan Gilmore. Emily chairs the committee for Lark’s Song’s Day of Aliveness each year. Pictured here (L—>R) Aubrey Baker (cohort 12), Emily Hathway (cohort 1), Brenna McCarty (cohort 9), Jami Taylor (cohort 2) worked together with other LSCCs and members of our community to co-create this incredible event. After being introduced to coaching, Emily felt like this was the first career she wanted to pursue. She was drawn to work with people from a culture of poverty, as well as people who wished to live with their senses more awake. Since receiving her certification, Emily became a staff member of Circles of Grant County, a nonprofit organization that connects individuals and families who experience poverty in a variety of ways to others who then walk alongside them as they move beyond poverty through the power of community. Emily is able to work with people from a culture of poverty as the Circles Coach. Emily has also started her own business and coaching workshops. She has worked with clients of all ages, including high school and college students, adults, and folks nearing retirement. The first workshop she created, Eyes to See, focuses on the ability to see and hear others, as well as how this gift can be used in community development. 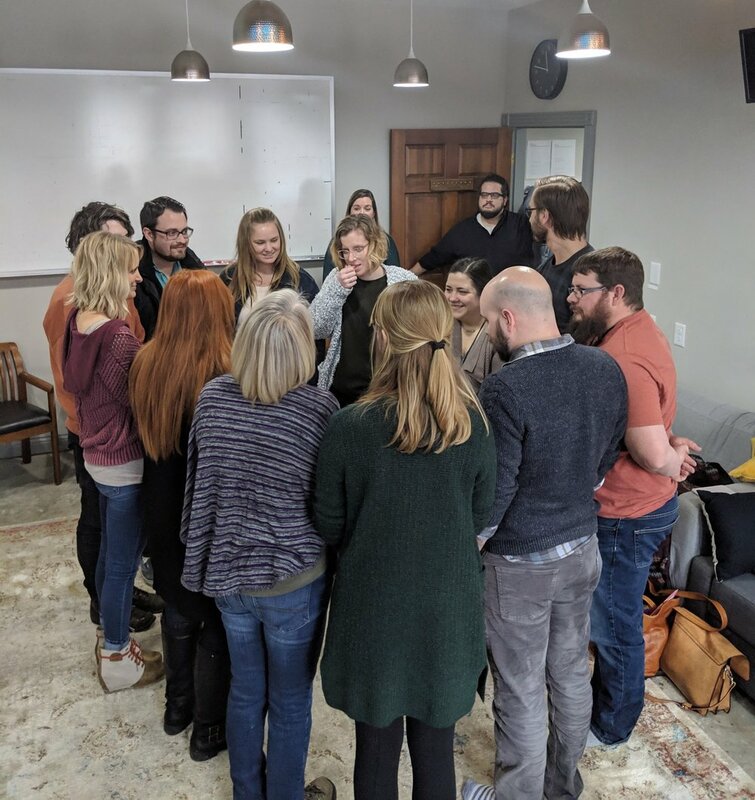 Emily also leads a workshop with Seth Harshman, which focuses on growing in awareness using the tool of the Enneagram. Most recently, Emily released a themed coaching package called Rewilded. This 12 session package aims to uncage the parts of participants that they have knowingly or unknowingly decided are not allowed to roam wild and free, as well as awakening any brilliance that has been dulled. This coaching experience also includes unique resources for deepening learning between sessions. “Sneaky Good” slow medicine deliveries for our Lark’s Song staff. Emily has also worked as an instructor for the LSCC certification program. She explains, “There’s such a delight that happens when you get to reveal the power of coaching to people as well.” To those who are interested in participating in the LSCC training program, Emily explains that the coaching certification is not just a cool business skill, but “it’s very much a paradigm shift that allows you to engage the world so much more fully [and] stop tolerating things you have been tolerating and find places of flourishing that you didn’t know existed.” She also points out how coaching can integrate into any profession and enhance whatever work someone is doing. “Coaching is one of the most effective tools for harnessing the power of human relationship to move towards flourishing. This journey will transform your life,” explains Emily. 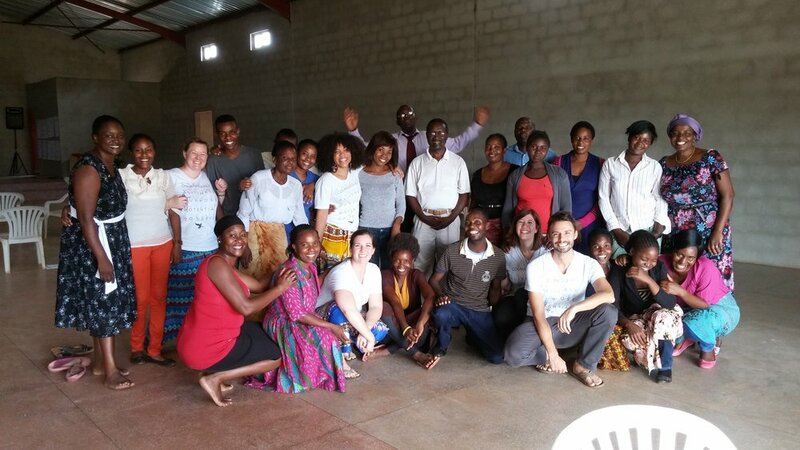 In December 2015, Emily traveled with four other LSCCs (Megan Gilmore, Erica Eyer, Levi Huffman, and Bria McCarty) to train 28 educational coaches in the Chilanga district of Lusaka, Zambia to prepare for the opening of Ceelelo School a year later. Visit emilyhathway.com for more information on Emily’s work and emilyhathway.com/rewilded to register for her Rewilded coaching package. On February 1st and 2nd, the Cohort 11 of the LSCC training program participated in the fourth onsite: Coaching & Systems. This onsite focused on teaching the techniques and skills needed to coach a group or organization to reach their goals and develop their potential. For more information and to sign up for The Lark’s Song Certified Coach training program, visit www.larkssong.com/overview. On February 1st and 2nd, the Cohort 11 of the LSCC training program participated in the fourth onsite: Coaching and Systems. This onsite focused on teaching the techniques and skills needed to coach a group or organization to reach their goals and develop their potential. Seth Harshman is a local Enneagram expert. Seth became interested in the LSCC training program after collaborating with Lark’s Song’s Emily Hathway on various Enneagram workshops. While working with Emily, Seth was inspired by the way she embodied the coaching assumptions, and was drawn to become an LSCC himself. After receiving his certification, Seth plans to work as a professional coach, using the Enneagram as a coaching tool with his clients. The Coaching and Systems onsite focuses on various groups, including family systems. Seth explained, “At the onsite, we talked about family systems. You’re sitting there learning, but then immediately applying the learning to your own family. Really powerful even on a personal level, not even taking it and applying it to anywhere else yet.” The information discussed at this onsite not only provided Seth with the tools to coach groups, but also gave him practical advice for his family relationships. Throughout the training program, Seth has experienced an exciting transformation within himself, in addition to the transformation he was seeing in those around him. The experience assisted onsite was particularly powerful for Seth. He explained that he “showed up and decided not to allow [his] typical inhibitions to get in the way.” He decided to do what Lark’s Song coaches call “sandboxing it,” or getting in the sandbox and playing full out, without fear of messing up. This experience taught him that he was more capable than he had thought he was. On February 1st and 2nd, Cohort 11 of the LSCC training program participated in their fourth onsite training: Coaching and Systems. This onsite focused on teaching the techniques and skills needed to coach groups or organizations to reach their goals and develop their potential. Jenna Keele, a senior Management and Psychology major at Indiana Wesleyan University, first became interested in the LSCC Training Program after experiencing the transformative power of life coaching during her first few years of undergrad. Two summers ago, Jenna served as an intern with Lark’s Song and continued to stay connected after that position ended. She then enrolled in the training program with Cohort 11. Another of Jenna’s highlights was learning from Lark’s Song professional coaches at the onsites. “The coaches who lead the onsites are filled with energy and passion for this work, and they are quick to celebrate with the participants as they try out new tools and stretch their coaching range. They create an environment that supports growth and creativity, while continually offering new levels of challenge as participants learn and grow through the process,” she said. After completing the training program, Jenna plans on coaching part-time, while continuing to participate in Lark’s Song workshops and events. She will also use the knowledge and experience gained in the training program in her personal and professional relationships. Embodying the coaching assumptions is one of the ways Jenna will use her training with every person she interacts with. “I will continue to view people as creative, resourceful, whole, relational and filled with purpose. 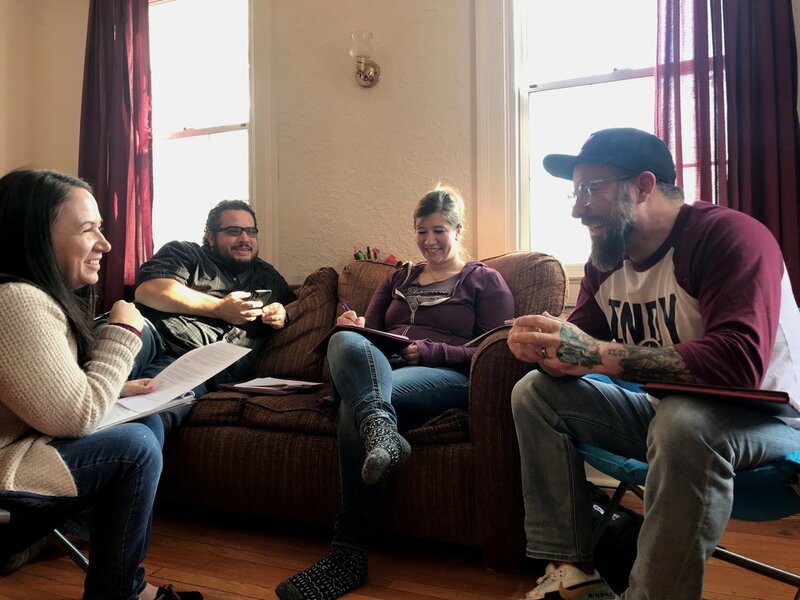 On January 25th and 26th, the Lark’s Song staff and Board of Directors joined together at the Fort Harrison State Park for their annual planning retreat. The retreat began with a reflection on the former year. Lark’s Song’s theme for 2018 was the Common Flourishing of Shalom. At the start of the year, Lark’s Song committed to be patient, harmonious, interdependent, present, purposeful, visible, excellent, daring, responsive, generous, loving, curiosity-sparkers, and owners of peace. The core assumptions include that every person is creative, resourceful, whole, and relational, every person is uniquely valuable, every person is worthy of being championed, every person is capable of solving complex problems, and every person is ready to live at choice. On Friday night, our team celebrated the growth and impact we had in 2018. 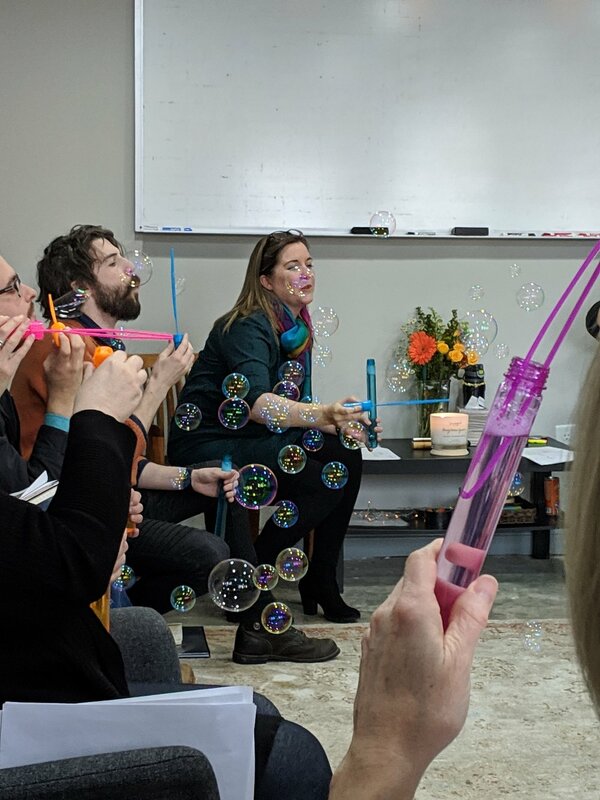 Lark’s Song hosted many events in 2018 including Made Wild, Growing Goodness, Co-Lab Confab, Superhero Camp, the Day of Aliveness, Power of She, LSCC Soul Care Skill Share retreats, and a Little Larks workshop. The Lark’s Song Certified Coach Training Program completed two cohorts, training a total of 22 coaches. The Ceelelo School began its second year and our Little Larks Well-Being coaches were chosen to present at the International Positive Education Network World Positive Education Accelerator (WPEA) and Appreciative Inquiry (AI) Summit. Lark’s Song also added Len Anspach to the Board of Directors as the Treasurer. Through the many exciting changes and events in 2018, Lark’s Song continued to rest in shalom. Our team switched gears the next day to discuss our initiatives for the 2019 year. 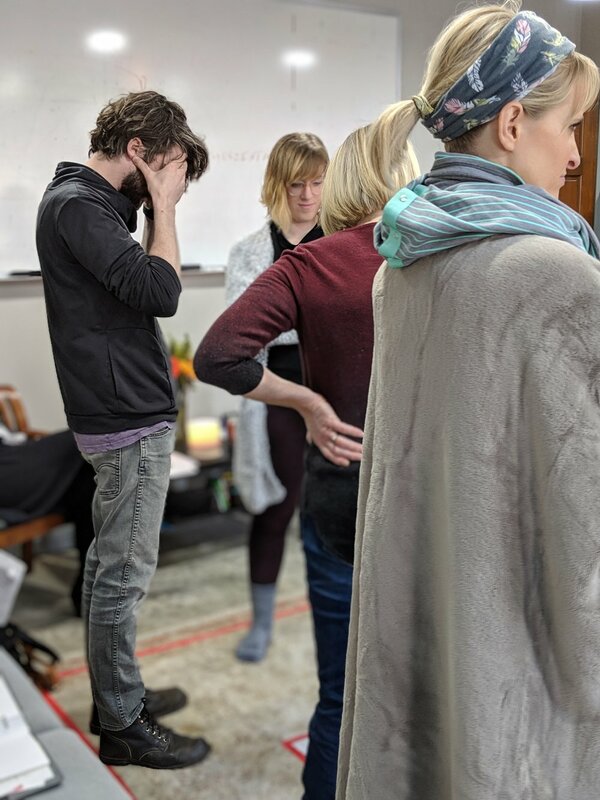 The theme for 2019 is Slow Medicine: A deliberate and intentional approach to healing that is intentionally measured, mutually respectful, and skillfully administered. Slow Medicine requires one to trust the process and outcomes of curious learning, attentive care, and practicing toward mastery. We set out to engage in the transformative work of courageously co-creating a more fulfilled and flourishing world through the Appreciative Inquiry (AI) model. This practice involves discovering the greatness that is happening in Lark’s Song and around the world, dreaming about the future of the organization together, designing real prototypes and patterns that create rhythmic, sustainable practices and solve complex problems, and delivering a set of high priority initiatives for the next 12 weeks. The staff and board members worked hard to create brave ideas and concrete plans for the next 12 weeks. Emily Hathway explained that she enjoys the 12 week plan over a year long plan because it allows our team to focus and be more productive. Aubrey Baker and Erica Eyer enjoyed how the retreat allowed them to work with people on our team that they do not normally work with. “It brought about a team cohesiveness,” Aubrey explained. Members from our team left the retreat feeling good about the plan they had created, although it was hard work to create. Ruth Rice explained that it “felt like a workout,” but that it feels nice to have a good plan. Emily described Slow Medicine as trusting the soundness of the truth that Lark’s Song carries as an organization. She feels as though it lacks desperation; it is not a sprint. Slow Medicine, according to Emily, is leaning into being more than doing. Aubrey described it as “both a challenge and a way to rest in what we are already doing.” She believes that the yearly themes build on each other. Lark’s Song will continue to embody the shalom of common flourishing while trusting the healing slow medicine brings. Through his time with the Academy, Nicholas discovered many resources and powerful tools to use in his everyday life. Coaching in general has changed the way that Nicholas connects with others. When asked about the ways that the Academy has impacted him personally he responded with such wisdom in saying, “I used to fall into a victim and powerless mindset before The Academy. One of the greatest ways the Lord has spoke to me through The Academy was that I am not a victim. I am a powerful person.” The Academy is ultimately to receive your certification as a coach, but it can be so much more than that if you allow it. Our comprehensive, nationally approved program challenges you to build on your natural strengths through learning and applying professional coaching skills. To those who are considering becoming a LSCC, “It’s worth the money. It’s worth the investment. You are making an investment in your certification and education so that you can invest in others. It’s worth it because you can be more effective in impacting the world on a greater scale. Whether the world is millions of people or your family, it’s worth the investment financially.” One word that Nicholas would use to describe his experience is equipped. The LSCC program is a 140-hour, CCE (Center for Credentialing and Education) approved coach training program that is designed to be completed in 6 months. The combination of the onsite education with the efficiency of online & virtual methods gives participants the practical application, feedback, experience and flexibility to leverage their learning. All cohorts have a maximum of 15 participants so that you receive the individual attention, supervision, and customization that you need. To see more information on our unique coach certification program and register, check out larkssong.com/overview. This June the International Positive Education Network engaged in the second annual, World Positive Education Accelerator (WPEA) and Appreciative Inquiry (AI) Summit. Individuals from around the globe came together to actively participate in brainstorming ideas for the sake of increasing well-being and character virtue through positive education. Educators, positive psychologists, parents, and college students alike are in great need for unity among the globe in order to make a long-lasting impact. Speakers such as Martin Seligman, Angela Duckworth, and Laurie Santos spoke openly about research that is currently being done and what is anticipated to be discovered within the next few years. What’s different about WPEA from most conferences is the addition of Appreciative Inquiry. Appreciative Inquiry is a model used in order to activate change. Questions and prompts were given to each table, with the intention that each group would share their individual thoughts with people who have differing occupations, cultures, and worldviews. In order to create a prototype, one must completely remove themselves from comfortable and inward reflection in order to share ideas with those in their group. Our very own Erica Eyer and Aubrey Baker were selected to present their idea on how to accelerate positive education by providing an arts workshop for disadvantaged families to find their unique impact on the world and have a creative outlet to tell their stories. Their conviction and bravery was recognized by close to 100 participants and their idea was voted the best to present from the main stage. “I am WORTHY. I am CREATIVE. I am UNIQUE. I am CAPABLE. I am READY!” Lark’s Song partnered with the YMCA in Wabash, IN this past June for a week of Superhero Camp. Volunteers from Lark’s Song joined forces with the volunteers from the YMCA to ultimately empower and recognize the strengths of almost 50 Little Lark’s. During the five days, each child learned to identify the superhero that they already are, they learned about their superpower strengths, they learned how to fight their villains – like stress and “mind bandits”, and how to describe the problems they want to solve. They became equipped with real-life skills to increase their well-being across the board. Every day included stories, songs, exercise, time outside, games, meditation, snacks and other activities. December 2015 - Global Education Initiative trained 26 educational coaches through Lark's Song's Certified Coach training program. These coaches will teach in the Centre for Success School and other educational institutions throughout the Lusaka, Zambia region. • The greatest needs for education in Zambia are sufficient, standardized teacher training, and readily available teaching materials. • Lark’s Song could meet these needs for the newly constructed Centre for Success School by training teachers and by delivering materials online. 26 teacher, professors, pastors, and other helping professionals from around the region of Lusaka, Zambia attended 5 days of intensive onsite training to become educational coaches through our Academy program. provided by Blackboard, Inc. and the tireless work of our board secretary, Jill Morrison. Additional support was provided by our generous partners listed below. as university professors, pastors, and school administrators. field bag with 3 books, an educational resource packet, a learning journal, and pens. Once open, the Centre for Success school will have the capacity to educate 500 children that previously had no access to primary education. Lark's Song is partnering with other agencies to make this possible through educational coaching and excellent content delivery via various technologies. notebooks, pencils, pencil sharpeners, and first aid supplies for their first 100 students. a world where people (including children) purposefully choose life and aliveness. In addition to the educational training that Lark’s Song was able to provide, We were also able to bring donated supplies for the people of Chilanga, including 894 school supplies, 42 balls, 758 playground and educational items, 3155 hair care and hair supplies, 271 undergarments, 22 shirts, 7 hats, 145 toothbrushes, 186 tubes of toothpaste, 216 packages of floss, 110 feminine personal care supplies, 1000 bandaids, 1000 units of bacitracin, and 1200 protective gloves. Thanks to all who donated these supplies for the teachers and students in Zambia! At Lark's Song, we kind of know how change works, and we're sure that many of you started the new year with grand aspirations and resolutions. But not many of you took the time to review the previous year for the purpose of awareness of discovery, so you could make clear and informed choices for your well-being in 2016. We are contemplating how to complete 2015 and start creating for 2016 with wisdom as well, and we’d like to offer you this tool as a thank you for supporting us in this first year as a non-profit. It was beautiful and messy, full of successes and failures. Whether you’ve supported Lark's Song as a client, colleague, partner, coworker, friend or family member, we are incredibly grateful for you! There are many feelings that come up as we think about 2015, but when we think about the people that have co-created with us, the overwhelming emotion is gratitude. Live at Choice! No one else is responsible for your life and you’re not responsible for anyone else’s, so stop being held hostage by other people and their limits or expectations. Be Courageous! Failure is actually an option! If you never fail, you are actually choosing to create an ineffective “life laboratory” in which learning and growth cannot take place. Stretch yourself to your maximum potential. Be Creative! Don’t make rules where there aren’t any. If your life isn’t honoring your strengths, your values, or your purpose, then create one that does. That doesn’t mean that your life circumstances need to drastically change, but it probably does mean that your perspective or approach to them does. Delight in the process! There are no rules here. You don’t have to answer all15 questions if you don’t want to. You can skip some, answer some today and some tomorrow, change the questions to fit you in a more personal way – whatever you like. Turn on some music, get something to drink, and enjoy this time. Write your answers and share your responses with someone! This step takes commitment and courage. Writing something down is an act of commitment, just skimming over the questions will not help. You actually have to write something. Sharing your intentions creates additional responsibility foryou, but it is also inspiring to others and gives you the gift of accountability as you accomplish your goals. Step out of your comfort zone and try it. Our wish for you as you enter 2016 is that you will live a year of creating courageously and choosing aliveness. Please feel free to share this resource with anyone that you have the same wish for. 1. What were the successes, gains and breakthroughs of 2015? 2. What were your failures, losses and breakdowns of 2015? 3. What were your top 3 learning points from 2015? 4. As you lean back and look forward, what are you grateful for? 5. What one person do you need to pay a gratitude visit to that impacted you in 2015? 6. What is one courageous choice that, if you made it, would dramatically change your life? 7. What are 2 simple things that you could do every day that make you feel more alive? 8. What is your theme or vision for the 2016? 9. What one thing could you produce in 2016 if you really cultivated your personal creativity? 10. What are your top 3 priorities for 2016? 11. What 2-3 character qualities would you like to develop in 2016? 12. How can you maximize your purpose statement in 2016? 13. What are you tolerating? 14. What is one thing that you need to remind yourself of every day? 15. What actions do you need to take to 2016 to realize your vision and goals? 16. What accountability will you put in place to ensure your success in 2016?